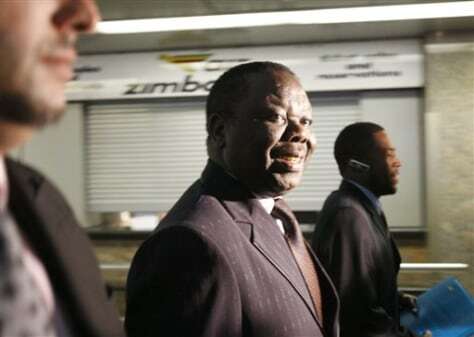 Zimbabwean opposition leader Morgan Tsvangirai, leaves Johannesburg's O.R. Tambo International Airport to return to Zimbabwe, on Saturday. Tsvangirai is back in Zimbabwe saying he feels safe despite fears of a possible assassination attempt.